A Celebration of Dia de Los Muertos & Halloween! Mariachi Bands, Visual Art, Candy, Kids Activities, and Tons of Food! To find out more RSVP NOW! Is BBPS happening rain or shine? Also will it be something teens & adults can enjoy too or is the bulk of the fun geared more toward the littler ones? Great questions Leonie, The night portion of events is rain or shine and 21+up. As far as the day program, it’s tough to tell. 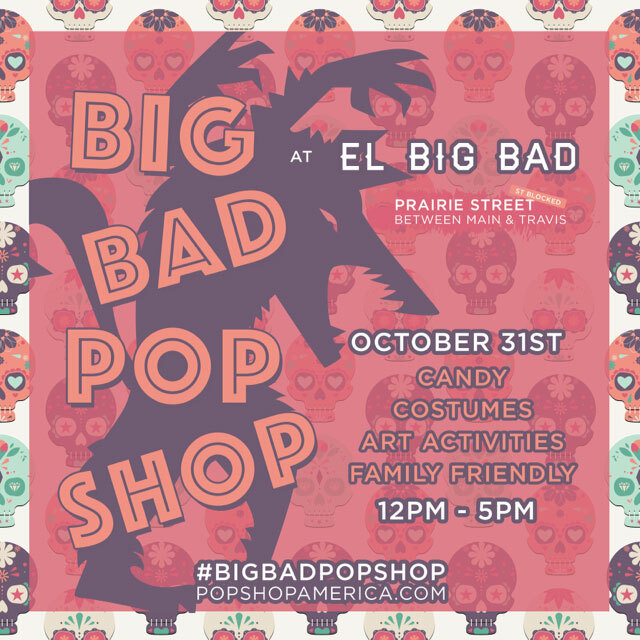 At first El Big Bad was bringing the festivities inside. But several of the participants are having rain issues, got flooded in, or are concerned about driving. Regardless during the day, there will be lots of yummy food and even more going on at Discovery Green nearby!